Quick summary: In this lesson, students will explore images in texts and consider how they connect to and support written content. This lesson is designed to provide valuable practise for NAPLAN, the national literacy and numeracy test held in Years 3, 5, 7 and 9*. It links directly to the Year 3 minimum standard: when reading information texts, students should be able to connect an illustration with ideas in the text. Students will be able to connect an image to a fact, event or description found in the text. By the end of Year 3, students understand how content can be organised using different text structures depending on the purpose of the text. They understand how language features, images and vocabulary choices are used for different effects. They read texts that contain varied sentence structures, a range of punctuation conventions, and images that provide extra information. By the end of Year 4, students understand that texts have different text structures depending on purpose and context. They explain how language features, images and vocabulary are used to engage the interest of audiences. Level of teacher scaffolding: Low – teacher will explicitly model the strategy students will practise during the lesson, and gradually release responsibility so that the students are familiar with the strategy before working independently. Resources required: One piece of large poster paper (A1 or similar). Sticky Notes (minimum 3 per student). Welcome from RASV President (printed A3 or displayed on an interactive whiteboard). One A3 copy of Connect the Pictures Teacher Worksheet. Animal Nursery and The Farmhouse and Connect the Pictures: Paired Worksheet (one between two for students). Unforgettable Animals and Dogs (can be printed A4 back to back). Connect the Pictures: Independent Worksheet (can be printed A4 back to back). Learning intentions display (optional). 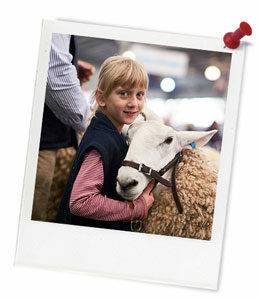 Keywords: Agriculture, show, farming, livestock, NAPLAN. ...identify the focus or impact of a particular image in a text. ...locate explanations or descriptions in a text that connect to the focus or impact of an image. Teacher content information: For 162 years, The Royal Agricultural Society of Victoria (RASV) has been running the Royal Melbourne Show. 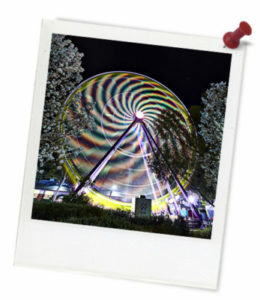 Like other agricultural shows around the country, the Royal Melbourne Show aims to build the community's knowledge and understanding of the vital role agriculture plays in everyday life by providing opportunities for the community to experience and connect with a range of different aspects of farming and agriculture.